Adi is a Product Innovation Manager with over 11 years of experience across Fashion, E-commerce and Technology Industries. He is currently leading Product Management and Innovations for Vodafone UK in the space of Artificial Intelligence, Machine Learning, Blockchain and IOT. He is passionate about solving problems through design thinking, big data and automation. An avid reader of consumer technology and applied mathematics, he often spends his time thinking about how to merge the two to make consumer experiences worth their while. 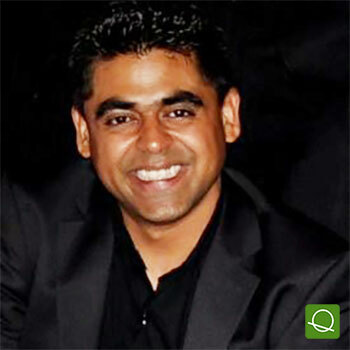 Adi holds an MBA degree from Lancaster University Management School. CASE STUDY: Evolution of AI & Machine Learning in Customer Experience - Beyond Interfaces. The evolution of Machine learning is directly proportional to the customer believing in the non-existence of a machine in between. With deep learning and neural network implementation, the traditional ML models are becoming dated. Often when a new technology has its breakthrough; it’s impact is only felt in hindsight. But it’s different with Artificial Intelligence and Machine Learning. Let’s talk about how ML powered Chatbots add value to the customer experience. From demand generation to fulfilment, all behind a seamless customer experience.